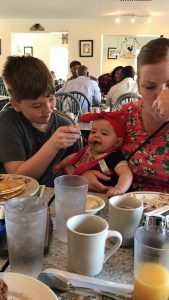 A little over a month ago, we went on a little family vacation to Williamsburg, VA. We had a lot of fun, as we always do, but what will be most memorable to me this time, are the tender mercies of the Lord that we saw all throughout our trip. Tire – One day before we left on vacation, Jad went to Sheetz to fill up the van tires with air. One of the tires was low on pressure. It was 7pm, and he was wondering if there was still time to get the tire checked out. He had a feeling something might happen. It was too late to take the van anywhere, but Jad made sure the spare tire was full of air. The next day, Jad had a feeling before we got to Virginia that something was going to happen with the car – it had been running a little weird. 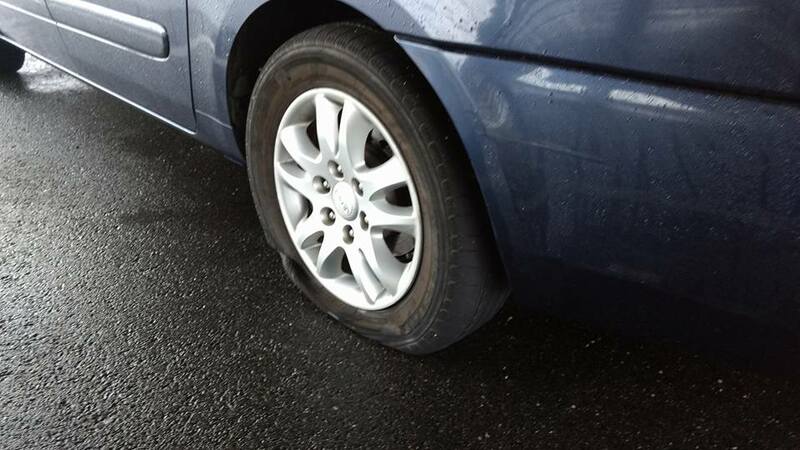 When we got to a toll near Richmond, Jad had a sudden feeling that the tire would soon blow up. He drove slowly after the toll. Not even a minute after that, the left rear tire blew up. We were about 100 feet from a bridge. Jad drove slowly under the bridge and stopped. It was pouring down rain, so he was able to stay dry while putting the spare tire on. While we were stopped, I was able to nurse Eve in just the right amount of time. 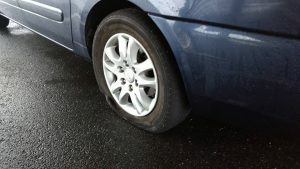 And we were actually quite close to a Sam’s Club, where we were able to get all of the tires replaced for a good price. We had lunch, looked around, and got some books, etc. with a gift card we got as a deal for replacing all four tires. We were at Sam’s for a long time, but everything worked out. 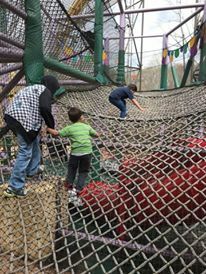 Bounce House – There is a fun bounce house place in Williamsburg. 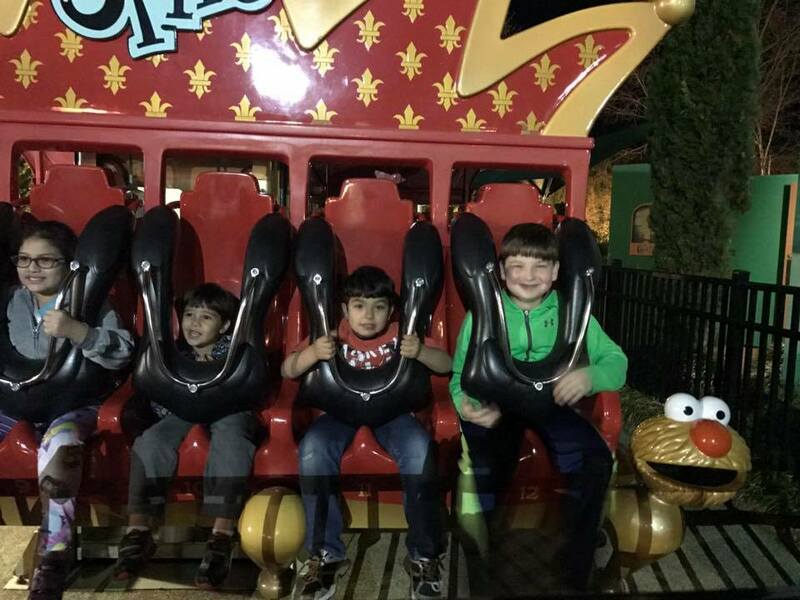 The kids were having a blast. We had brought the baby carrier in to make it easier to carry Eve around. 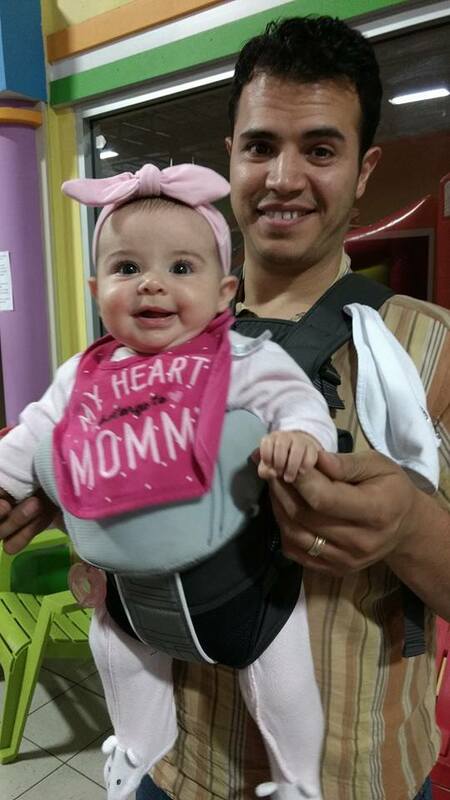 Jad volunteered to carry her around. At one point, he went to sit down in a plastic reclining chair. The chair must have had a crack in it, because he suddenly crashed to the ground with Eve. She cried out of fear, but was she was okay! 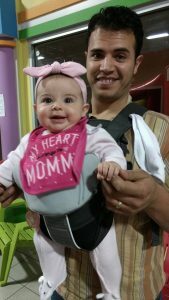 Thank goodness she was strapped to her dad, or else who knows what could have happened. 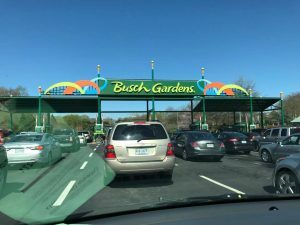 Deal – This was the day we went to Busch Gardens. 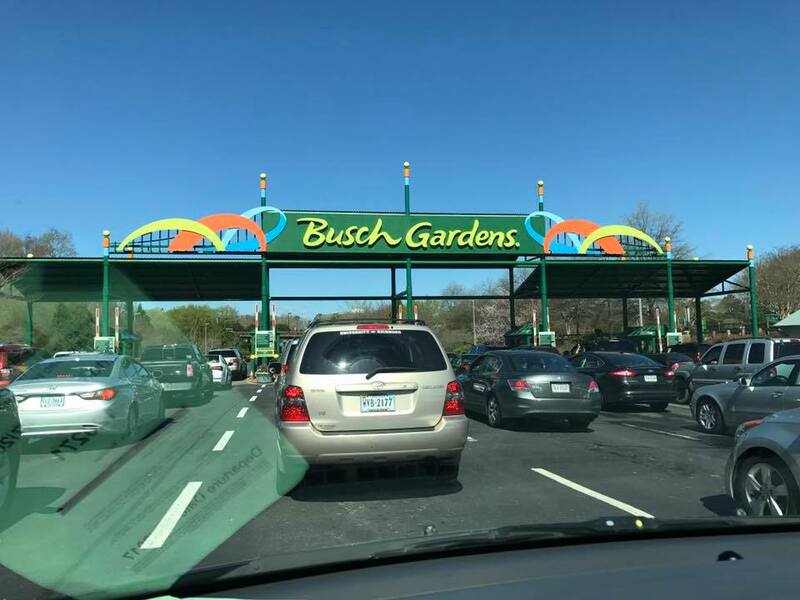 We knew before we went to Williamsburg that we wanted to go to Busch Gardens, but because of price, I knew we needed to find a good deal. I looked for quite some time before our trip. At one point, there was a $20 off coupon per person online. I tried to get tickets that way, but the transaction didn’t go through. I am glad it didn’t, because a couple days later, a 50% off Groupon appeared! Traffic – That morning was a slow morning, and we ended up leaving the resort later than we needed to. To add to that, there was awful traffic getting in. We waited for about 30 minutes to get into the park. Because we were going so slow, though, I was able to nurse Eve. We also scored free parking, which normally costs $15 (everyone got it to speed up entrance into the park). We were meeting my cousins there. I had been stressed out because they had gotten to the park way before us. We were quite surprised when we ended up parking at the same time in the same parking lot just a few rows from each other. 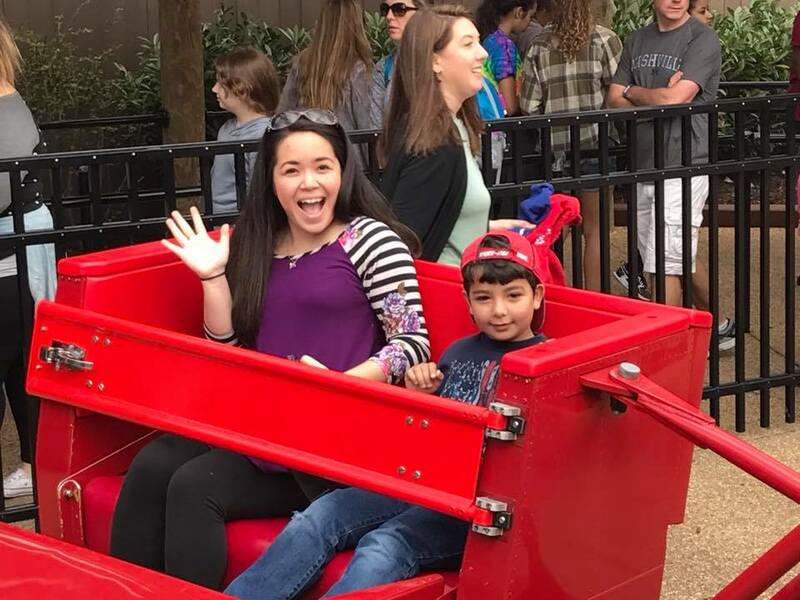 We were so happy to have them with us, and even though there was a ton of traffic going in, overall, the lines and crowds were not bad, and we had a great day! The right place at the right time – Because of where we parked, we ended up on a different side of the park than usual. 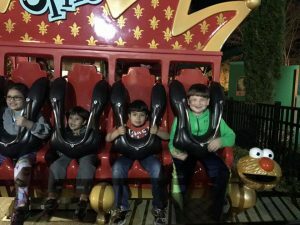 This ended up working perfectly, for when it was dark, we ended up at Sesame Street, where the kids were able to ride some of their favorite rides over and over again without lines. 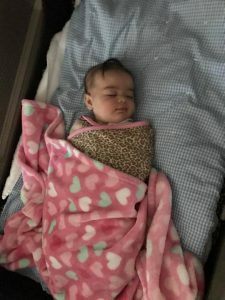 Nap – We missed the LDS General Conference sessions the day before, so were really happy to be able to watch the sessions this day. I was a little worried about watching conference with four kids, including a baby. Well, though Eve hardly ever naps, she actually napped all through the first session of conference. As a bonus, the boys were actually pretty good during both sessions. Meeting someone new – Monday morning we went to eat at a restaurant for breakfast. I had chosen it based on reviews and location. Interestingly, we ended up being seated next to an LDS family. We could tell because the dad was wearing a BYU shirt. Of course, we had to ask if they were Mormon, and of course they were. We promptly started talking. We found out that they were from Wyoming, and also that they knew the family that were the main characters of The Cokeville Miracle, a movie Jad and I watched just the night before. “That’s just too much of a coincidence to be a coincidence (a popular line from the movie, and so true in this experience).” We had a great conversation with them and were so happy we got to meet them. Imagine if we had gone to a different restaurant or had come at a different time. Some things are meant to be. Even though I had very little time to plan this trip, it turned out great and we did everything we had wanted to do. That was a first for us. 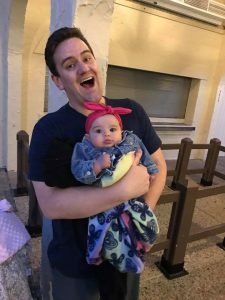 I hope you can see some of these experiences as true tender mercies. I know for sure that they were, and Jad agrees with me whole-heartedly. I know God loves His children, and I know that He cares about our joys and safety, even in the smallest of ways. I am grateful we had these marvelous experiences all in a row on this trip to Williamsburg!